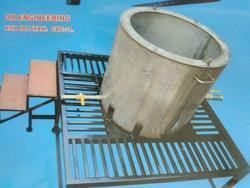 We are offering an high end quality of Latex Boiling Tank to our clients. These are well appreciated for its qualitative features all across the globe. These are recognized in the market for long functional life, dimensional accuracy, high performance, and low maintenance requirement. These are widely known for its quality and our energy efficient, durable, easy to use and maintain range is widely used in various industries. These are widely appreciated by our clients. Manufacturer & Supplier of Rubber Band Making Machines . Our product range also comprises of Hydraulic Cylinders, Hydraulic Power Packs and Hydraulic Wood Splitter & Cutter Machines. 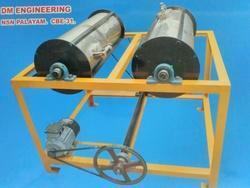 Manufacturer & Supplier of Rubber Band Dipping Machine & Rubber Band Making Machine. Our product range also comprises of Hydraulic Cylinders, Hydraulic Power Packs and Hydraulic Wood Splitter & Cutter Machines. 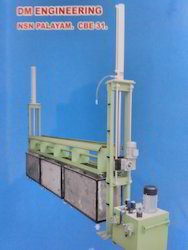 Looking for Rubber Band Making Machines ?